Effective websites never stop maturing. You’ll always be updating one aspect or another. The idea is to focus those changes and updates on areas where they will make the biggest impact on your visitors’ experience. 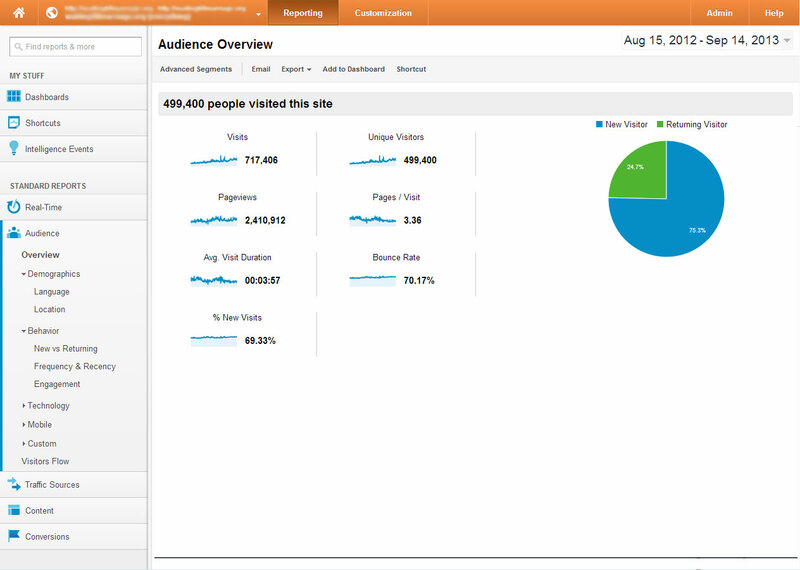 The Site Statistics feature gives you a great at-a-glance summary of your visitors' browsing behaviours. It tells you how many visitors your website received over a given time period and which areas of your site received the highest traffic. 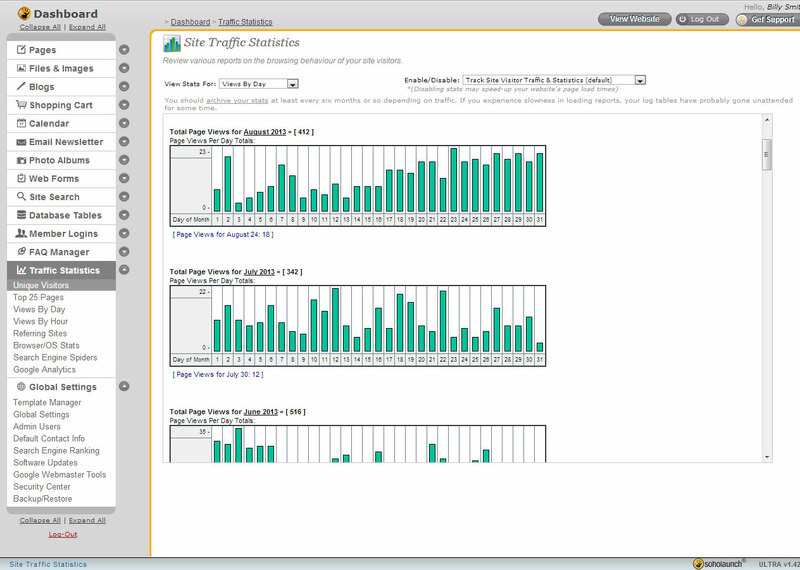 Soholaunch Ultra Sitebuilder comes with built-in support for Google Anayltics, an incredibly powerful (and free) web statistics package from Google.